This is my second time in Chicago, and yesterday was my first time to use the El all on my own. Lovely city, but kind of vertical, which I’m not used to anymore. I suppose the verticalness is accentuated by having the loop go through downtown. Right now I’m in the very picturesque Bryn Mawr historic district, just a couple of blocks from the lakeside. 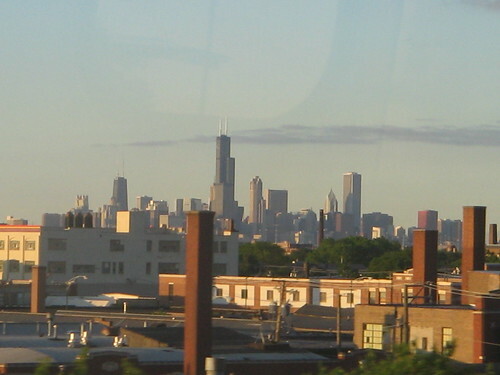 I used to live near Chicago (til I was ten or so), so I have a soft spot for it. It’s been years since I was last there, though. What’re you doing there? But sadly (or not so sadly), I’m moving to DC in May for a year or so. I’ll have to actually meet you this time. You know Bryn Mawr means big hill in Welsh?